﻿ Provence Cycling Vacation| Single Base| How Our Tours Work. One of the main themes of our single base, self guided bike tours is flexibility, we want to give you the holiday that's right for you! So when you're here you'll use our comprehensive Ride Directory (with 30+ self guided rides) to help choose the right trips for you. 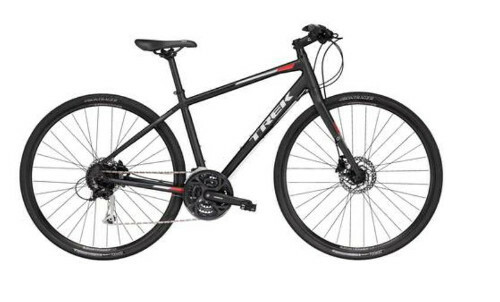 During your vacation with us we'll provide you with one of our brand new, quality Trek FX 3 hybrid bikes, and all the essential bike equiment that you need for a safe and problem-free holiday. We can also provide Ebikes for	those who would like more of a gentle tour or Carbon Road Bikes (Both at a fee of €168 for your stay. This includes insurance with an excess of €350 for damage or theft. Please place your order at the time of booking). Click HERE for more bike & equipment details. And for your peace of mind, in the unlikely event that you have a mechanical problem, full support and transport are only a phone call away. Our B&B is at the heart of the Luberon Regional Park with its stunning countryside, hilltop villages and calm backroads - which all make up for a great backdrop for biking. We hope your vacation will be a comfortable one in our 17th century Provencal Farmhouse. Our Bed & Breakfast has 4 rooms with traditional Provencal decoration, and they are all well equipped. Our tours continue to rank highly on TripAdvisor - with a 5 star rating. Click HERE to check out the link to the anonymous comments from our bikers. We have examples of what 2 typical days of cycling look like. The 1st example is for guests that put more of an emphasis on the cycling, whilst the 2nd example has an emphasis on the sightseeing. Click HERE to see these two examples. 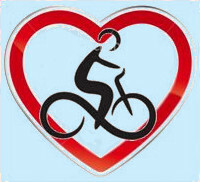 We want to give you the self guided bike tour that's right for you, this means it needs to be flexible. As what is good for one person might not be right for the next. Our tours let you do as much or as little biking as you want. There is no "one route a day to fit all" here, and there is definitely no time schedule to keep to. So if you want to stay by the pool in the morning and then do a quick ride to a hilltop village or vineyard - you can. But if you're more inclined to be on the bike by 9am and spend a day in the hills - that works too. 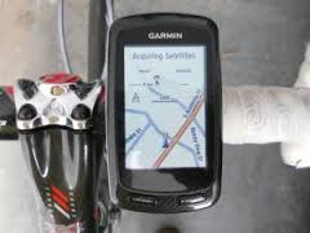 "Neil supplied all of us with Garmin GPSs and sent out on our own each morning. We did just fine, nobody got lost, and the routes Neil selected were mainly on small hardly travelled country roads and bike paths winding the way through the valley and finding their way up the shallowest gradient to the hilltop villages. " Andy - US - Sept 18 - Cycling Provence review. "The location in Provence was perfect, the weather ended up being perfect, our biking group of eight friends was perfect, the bikes were perfect, our accommodations were perfect and the family run Provence Cycling Holidays with Neil and his family was perfect!!!! " Rick - US - Sept 17 - Cycling Provence review. "Our stay with Neil & Natalene turned out to be the highlight of our European holiday. 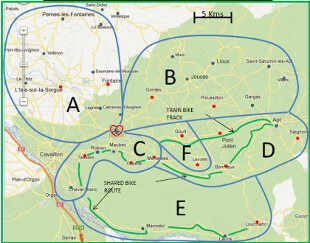 Neil’s personalized route planning makes for a very enjoyable cycling experience. Each morning Neil discusses the cycling options and tailors the routing to your specific interest. There’s lots to choose from: hill top villages, ancient castles, vineyards, canals, outdoor markets, and of course, lavender fields." Blair - Canada - Oct 16 - Cycling Provence review. 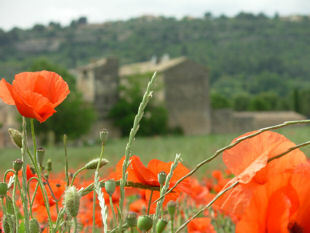 "Our five days stay with Provence Cycling Holidays was exceptional in all regards. Owner Neil Cowell provided very nice bikes and a careful orientation to the use of the GPS devices that guide you along routes. 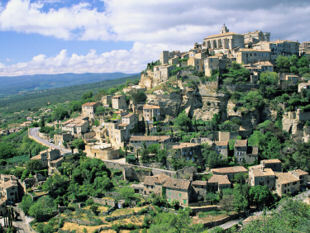 Neil gave personalized advice in selecting routes that were just perfect for us..."
US - May 15 - Cycling Provence review. "It's especially great if you're with a group, and different members want to enjoy different levels of cycling trips--and then reconnect at the house." Sarah - US - Jul 13 - Cycling Provence review. "One difference: Being able to bike alone with my husband (as opposed to a tour) and choose the level of difficulty." Maureen - UK - Jul 13 - Cycling Provence review. "I cannot recommend strongly enough, if you are looking for an easy going and flexible touring arrangement for the Provence area. You can ride as little or as much as you like, all in the convenience of a lovely rural single base. " D. Moliterno - US - June 12 - Cycling Provence review. "We would definitely come again- and probably will next year." Manon & Sarah - UK - Sept 10 - Cycling Provence review.